The mosasaurs in Jurassic World are a reminder that the prehistoric animals who patrolled the ocean were way more intense than anything we know today. The Great White Shark dangling from a cable, meek and lifeless, is a reminder in the new movie Jurassic World that the prehistoric animals who patrolled the ocean were way more intense than anything we know today. In the scene, a mosasaur, one of the largest known marine reptiles, rips through the peaceful turquoise water on its way to grab lunch. It takes the shark in one impressive gulp. 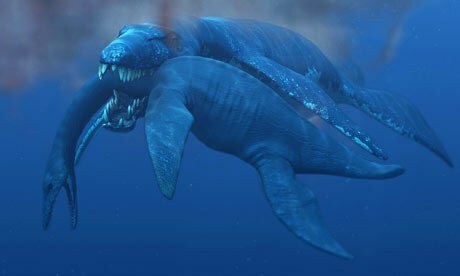 Even though, as many have pointed out, the size of mosasaurs is greatly exaggerated in Jurassic World, prehistoric sea dwellers still really put the ocean's current predators in perspective. Just check out these five. Dunkleosteus preferred larger pray over smaller fish. It would use its powerful jaw to bite through anything, while bone plates created an armored head that protected it from its own predators. 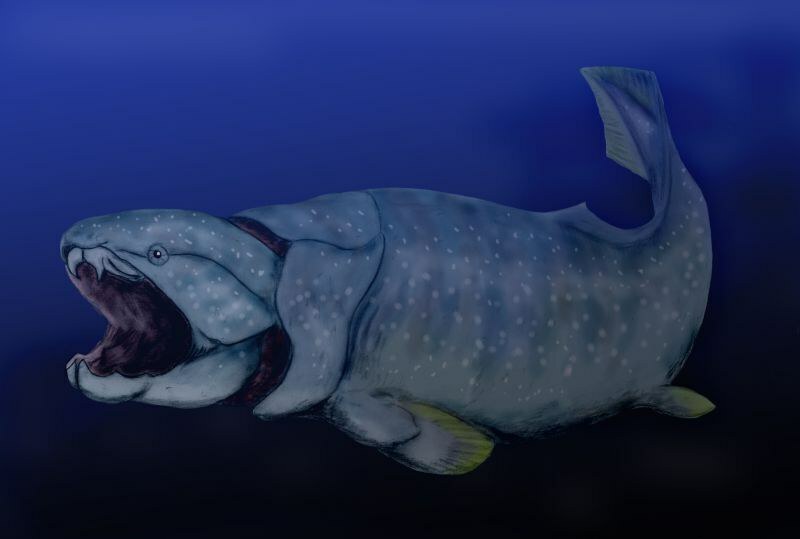 Although not much is known about the dunkleosteus body – a decent amount of fossils have been discovered to recreate the head – paleontologists estimate that grew to 30 feet long. At 13 feet long, the great white shark is a mini me of the c. megalodon, which could grow to 55 feet. The prehistoric shark would use its 18-inch teeth to bite down on its pray before shaking its head and sawing through flesh. 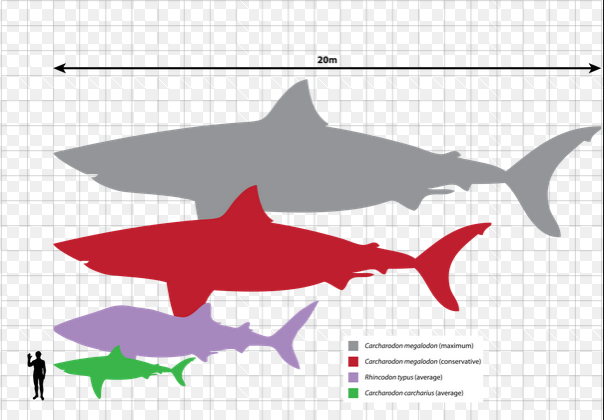 Teeth are the only fossils that have been discovered so far, and scientists estimate the length of c. megalodon based off their size. There are several types within the mosasaurs family. The biggest is the hainosaurus, which grew to be 55 feet long and weighed about 20 tons. The mosasaurs were top predators and snacked on anything from birds and turtles to sharks. Like their distant cousin, today’s monitor lizard, mosasaurs were slow and preferred ambushing their pray. Like the Mosasaurs, there are several species of Pliosaur. 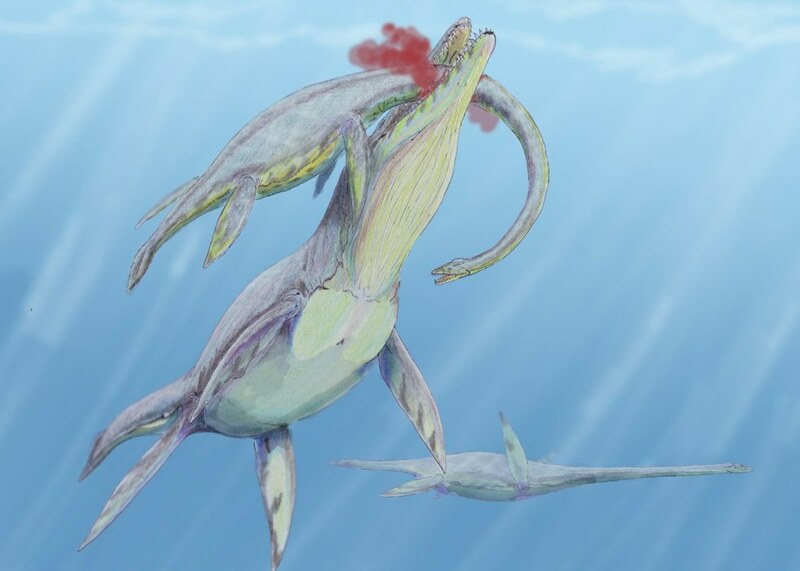 The most recent discovery in this family of giant sea lizards were fossils found in the Arctic. 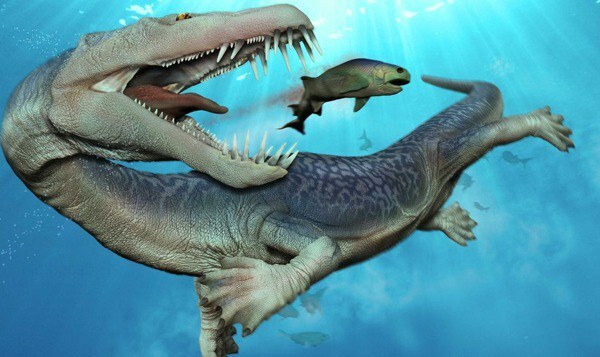 They showed a new type of Pliosaur whose bite was four times more powerful than the T. rex. Based on the fossils, which were only from the creature’s head, scientists estimate it was 50 feet long. These guys were not the biggest – they were about 13 feet long — but they made up for that with aggressive hunting. The nothosaurus would surprise its pray in an ambush clasping onto squid and fish with pointed teeth that poked out of its mouth. A complete skeleton is on display at the Natural History Museum in Berlin.